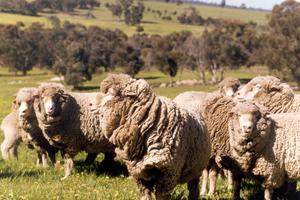 A three-year CSIRO Livestock Industries research project concluded that genetically modified sheep grow bigger and faster, produce double the amount of milk, can grow more wool, but require more care, and that although there is little commercial benefit in GM sheep at this stage, there could ultimately be a role after exhaustive evaluation is concluded. The project monitored generations of sheep genetically modified with an extra copy of growth hormone gene and found expression of the gene varied between sheep and in offspring. Growth hormone affects important characteristics of development, including growth rate and fatness. The study found that these GM sheep required more attention than non-GM sheep. Excess growth hormone can cause the hooves to overgrow and so require regular clipping. GM sheep were also leaner, which can result in health problems, and some were susceptible to diabetes. Despite this, their mortality rate appeared to vary little from normal farm sheep.